INTENSELY TOASTY Harvested at its peak for the fullest natural flavour. 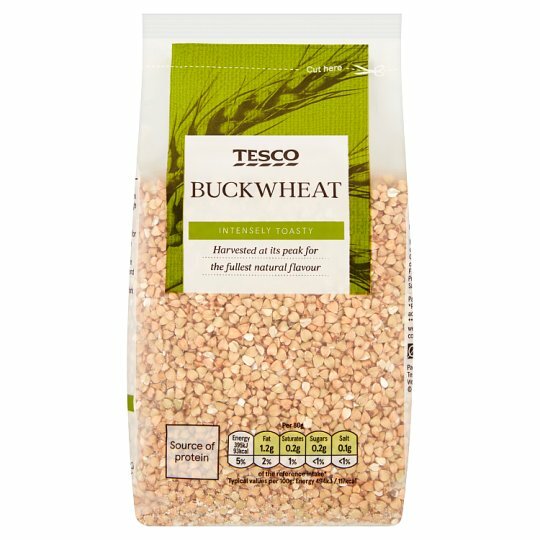 Instructions: Rinse 100g buckwheat thoroughly in cold water. Bring 500ml water or stock to the boil in a large saucepan on the medium hob ring over a high heat, add the buckwheat. Stir, cover with a lid, reduce the heat to low and simmer for 20 minutes until most of the water has been absorbed. Remove from the heat, drain off any excess water and stand for 10 minutes. Separate the grains with a fork and use as required.